You can move mountains this week! Mercury Retrograde continues to bless us in terms of relationship repair potential, and then Mercury actually turns direct this week! 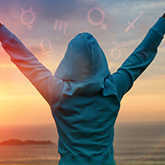 Next, a New Moon Solar Eclipse ushers in the opportunity for transformational change, while Mars shifts into a sign that truly allows us to move mountains. Yes, it'll be a week filled with promise! See what's in store for you personally with a Weekly Forecast Tarot reading, and here's the lowdown on the key cosmic events the week of October 20-26, 2014. Monday, October 20: Venus in Libra sextile Mars in Sagittarius, and Mercury Retrograde sextile Jupiter in Leo. 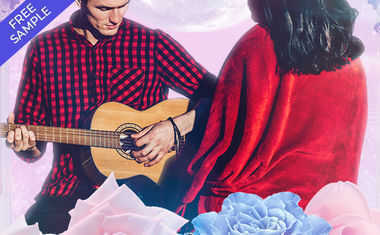 On Monday, Venus and Mars will be at a gorgeous sextile to one another, supporting relationship ideology and the pursuit of a partnership that is capable of exceeding your wildest expectations. With Mercury Retrograde sextile Jupiter on the same day, you'll renew your greatest creative ideas and pat yourself on the back for any recent decisions you've made that have allowed you to grow. Then, on Thursday, the Sun enters Scorpio, followed by a New Moon Solar Eclipse. This is a supportive eclipse that will help you cut right to the heart of whatever you know needs to change in your world. You'll have the ability to rip off any emotional Band-Aids without hesitation, so the new skin can have an opportunity to grow. With Venus in Scorpio on the same day, you might even like this process more than you think you will. On Saturday, the Sun will conjunct Venus in Scorpio, shining a light on anything dark and mysterious that needs illumination, while Mercury also turns direct. Now that Mercury Retrograde is over, communication will finally begin to get bearings again. Then, on Sunday, Mars will enter Capricorn, where he'll remain until December 4. The energy for success is yours, and you simply cannot be stopped now. You'll work through any difficulties in order to achieve your goals. What are you waiting for?